You are here: Home - Accounting Software - Why now is the perfect time to convert your business to the cloud. TPAR, STP, BAS, PAYG, the acronyms just keep coming from the ATO! And keep coming they will. The current compliance landscape for small business owners is about to get a whole log tougher, with Single Touch Payroll just around the corner for all businesses (from July 1, 2019). Tax table updates, on time BAS lodgements, Superstream and other “in real time” lodgements are a handful to keep track of. Especially if your accounting package is not up to date, you are at a major risk of withholding the incorrect amounts of PAYG, or not paying enough Super. One easy and affordable way to stay on top of all of these new requirements is to convert to the cloud. Cloud accounting is now at a mature point, with great stability, great pricing options, and a flexible range of add-ons to suit most businesses. And best of all, cloud systems are always maintained and kept up to date by a team of dedicated staff who are constantly managing the system, so you don’t have to! Software makers today liaise constantly with the ATO to ensure their systems are in compliance and up to date with all of the latest changes and regulations. This takes the IT stress out the equation, leaving more time for you to spend on your business. HOW DO I TAKE MY OLD DATA WITH ME? WILL I LOSE ALL MY HISTORY? Most system vendors these days offer a conversion service for new customers. Depending upon the platform, we are able to assist with converting your entire data file into your new system. If a full conversion isn’t possible then we are able to export out all of your lists and critical information and carry that forward into your new system. 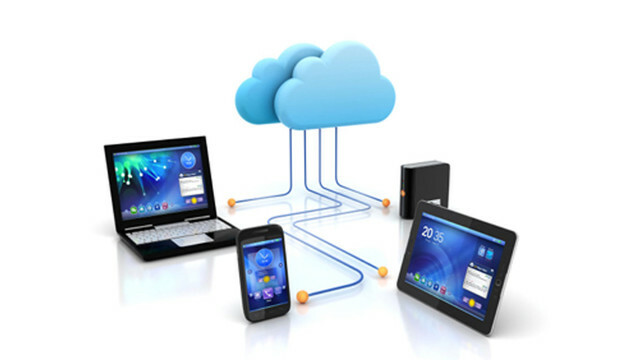 Currently, in the market, there are several choices of cloud accounting systems. We are able to sit with you and discuss your requirements and map these out to recommend the best possible system. 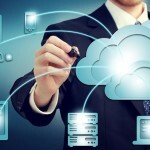 MYOB and Reckon both offer cloud upgrade services within their existing product range. This is a great option if you are already on an older version of these programs. Conversion is simply a matter of “upgrading” to the cloud with very little conversion required. Whilst these systems are a “hybrid cloud” option, meaning they are still desktop products with cloud hosting of your data, there are pure cloud options available as well. Xero and Intuit QuickBooks Online would be the two mainstream “pure cloud” vendors in Australia, whilst Reckon and also offer Reckon One, and MYOB have MYOB Essentials. Pure cloud systems do not require any software installation, and only require you to login via your internet browser on any computer to access your information. Both also offer phone app access. HOW LONG DOES A CLOUD CONVERSION TAKE AND WILL I BE WITHOUT MY SYSTEM? Depending on your choice of conversion (full file conversion or lists and balances), we are either able to convert your system on-site or by the next day. (Lists and balances only). Full system conversion takes a little bit longer (up to a week). We will work with you to determine the best strategy to both keep your business running, and send your file away for conversion. Either way, we will work with you to deliver the optimal outcome, to suit requirements, budget and of course, ongoing compliance, for your business. Another major benefit of modern cloud systems, is we are now in the age of the add-on app marketplace! Simply login within your accounting software and head to Apps or App Marketplace, to select from or trial a range of add-ons for your cloud accounting package. Popular apps such as Receipt Bank, Mailchimp, Vend, Unleashed, Shopify, Tradify, T Sheets, Deputy, Square, Paypal and more, are now all only a click away in the most popular systems such as Xero and QuickBooks Online. Whether you need a small point of sale with credit card facilities, or a full-blown multi-location inventory system with iPad receipting and mobile sales orders, all converging back to your main system, not a problem. Click and it’s done. With live integration and affordable payment plans (some are even free! ), and simple click and connect functionality, why not expand your horizons with an add-on to your main system.? Such is the flexibility we have available these days with modern cloud accounting software. At Axis IT Consulting, we invest a lot of time, staying in touch with, and on top of, current trends in the accounting app marketplace. We are able to show you a range off add-ons, and even assist in bespoke add-on design and implementing multiple add-ons to work together in your business.